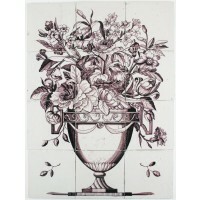 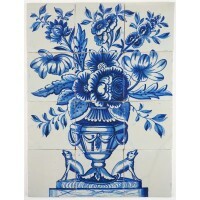 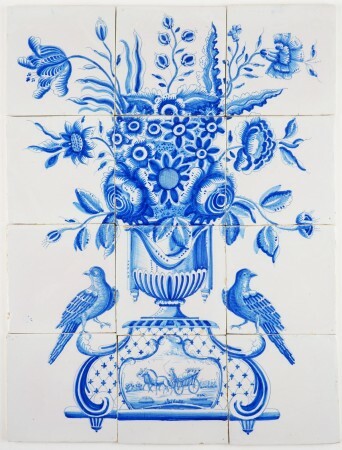 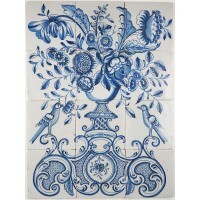 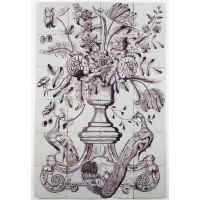 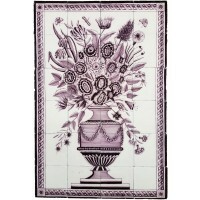 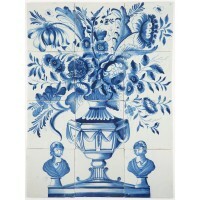 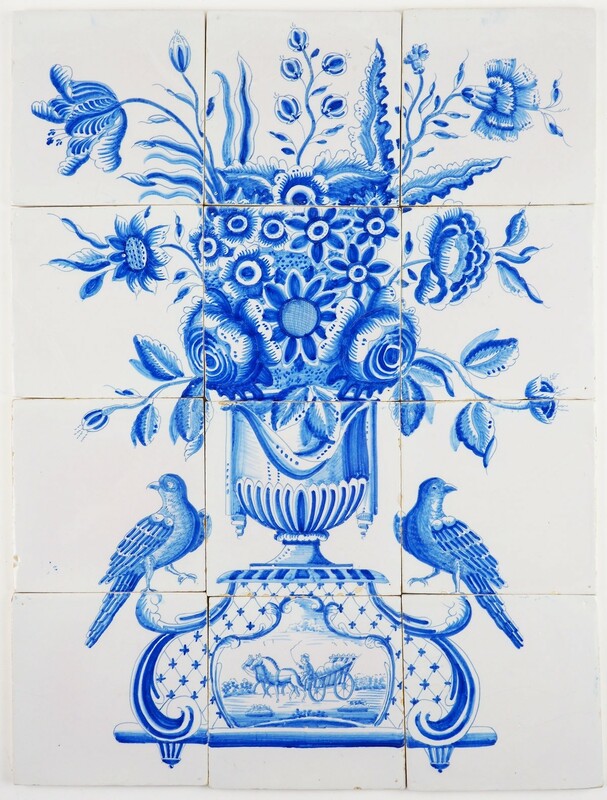 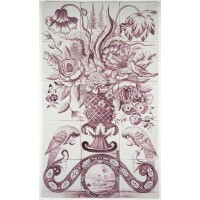 This beautiful and richly decorated antique Delft tile mural depicts a flower vase with a bird on each side. 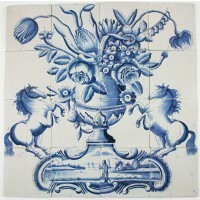 In the center of the vase a coachman with two horses is depicted transporting goods. 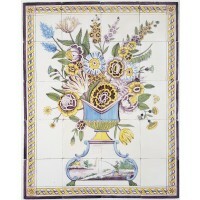 The mural dates from around 1800 and was made in the Dutch city of Harlingen. 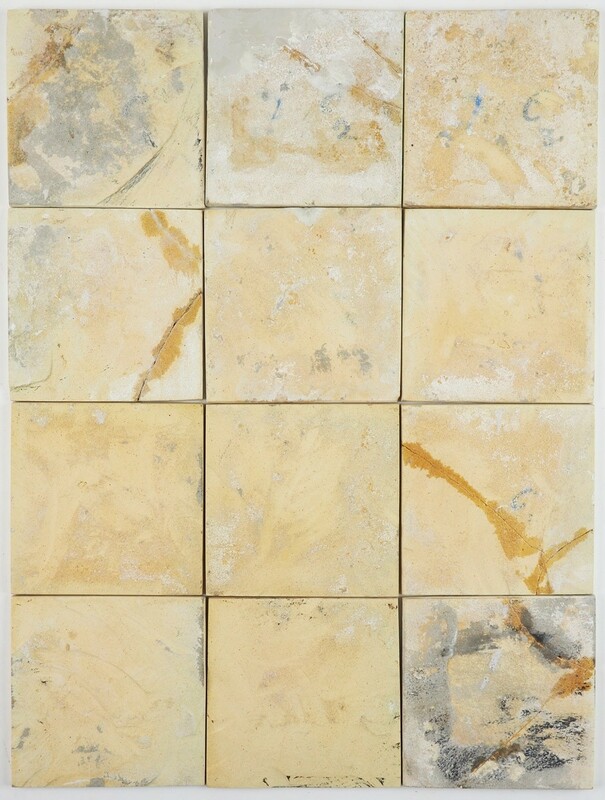 It has completely been prepared to be used in a tiling project. 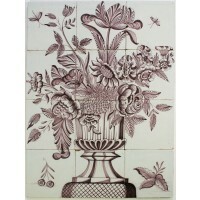 Feel free to contact us for more information or a full condition report.